SCPD: Marlon Jovel of Brentwood, 31, was transported to a local hospital where he was pronounced dead. SCPD are investigating a vehicle crash that killed a sanitation worker. 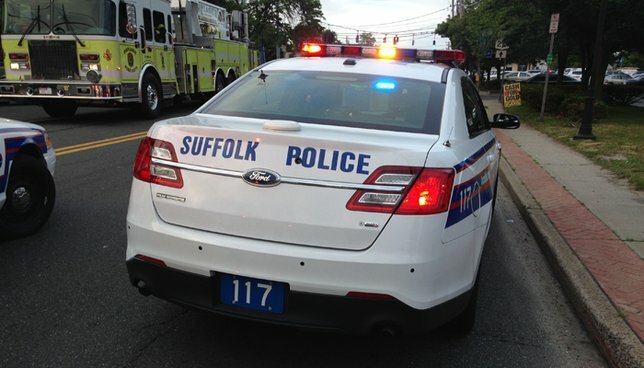 Yaphank, NY - Sept. 11, 2018 - Suffolk County Police Sixth Squad detectives are investigating a motor vehicle crash that killed a sanitation worker in Yaphank on Wednesday, September 12. Marlon Jovel was picking up garbage on Long Island Ave. when he was struck by a 1992 Suzuki motorcycle traveling westbound on Long Island Avenue at a high rate of speed. Jovel, 31, of Brentwood, was transported to Brookhaven Memorial Hospital Medical Center in East Patchogue where he was pronounced dead. The motorcyclist, Blaise Porter, 26, of Yaphank, was also transported to Brookhaven Memorial Hospital where he was listed in critical condition. The motorcycle was impounded for a safety check and the investigation is continuing. Anyone with information on the crash is asked to call Sixth Squad detectives at 631-854-8652 or call anonymously to Crime Stoppers at 1-800-220-TIPS. Subject: LongIsland.com - Your Name sent you Article details of "Sanitation Worker Killed In Yaphank When Struck by Motorcycle, Officials Say"